Formed in Stockholm in 1998 by bassist Ida Evileye and guitarist Klara Force, CRUCIFIED BARBARA is Sweden's hardest rocking quartet, playing a fiery brand of rock 'n' roll tinged with metal.No strangers to hard work or success, CRUCIFIED BARBARA’s debut single from their 2005 debut In Distortion We Trust climbed to ...#8 on the Swedish charts. 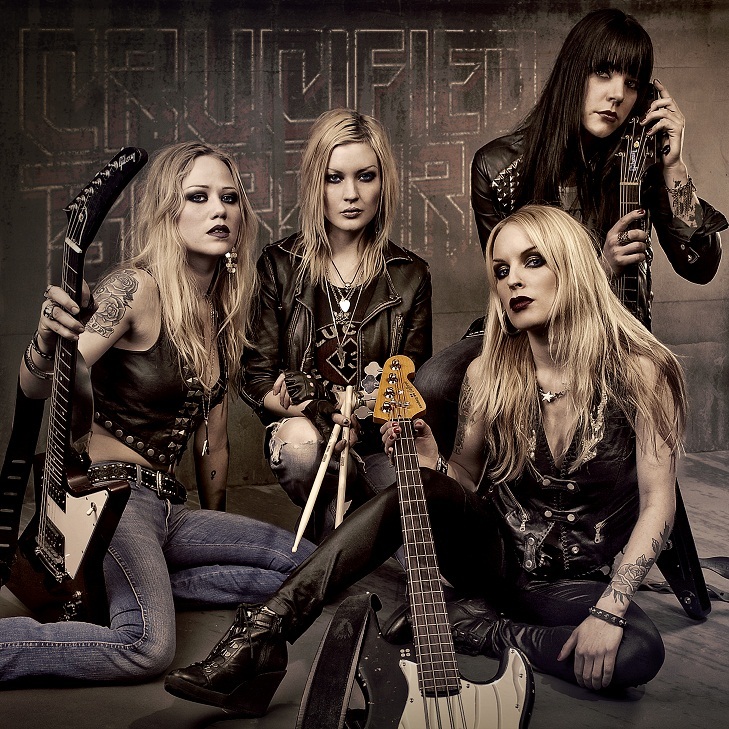 They played Australia, toured across Europe opening for Motörhead, Sepultura, In Flames, and Doro, and earned a prestigious slot alongside Black Sabbath, Velvet Revolver, and System Of A Down at the U.K. Download Festival. 2009’s ‘Til Death Do Us Party was released an CB found themself on national television performing in Eurovision’s 2010 Song Contest and made it to the semi-finals with the song "Heaven and Hell". 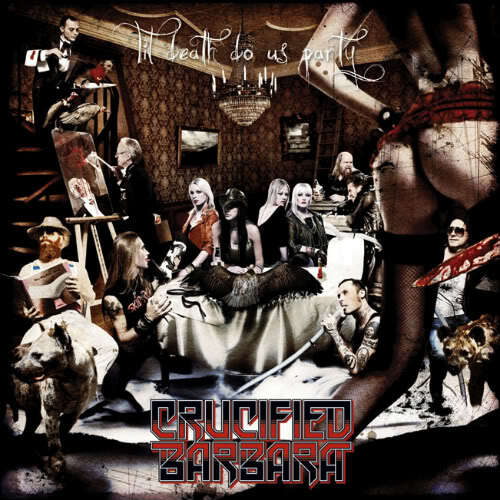 CRUCIFIED BARBARA’s third studio release, The Midnight Chase features the beautifully evil “Rock Me Like The Devil,” the anthemic “Everything We Need,” and the commandeering “Into The Fire"